Are you tired of seeing the same old custom ROMs getting updated to every new Android OS iteration? If you are up for something new that provides high level of customization, is a new addition and on top of that provides stable and fast performance, here is one of the best choices for you. VividROM Android 5.1.1 is deodexed and a pre-rooted ROM. While it doesn’t offer any new features, you will enjoy the smooth performance that it promises. It’s also a good addition to the still small family of Android 5.1.1 custom ROMs. You can read some of the highlights of this Nexus 5 Android 5.1.1 custom ROM below; for more check out the XDA page of the developer shared at the end of this post. Link Time Optimization for both system and kernel which is an experimental flag providing significant performance and battery-life improvements. Follow this guide to flash Android 5.1.1 based VividROM custom firmware on your Nexus 5. 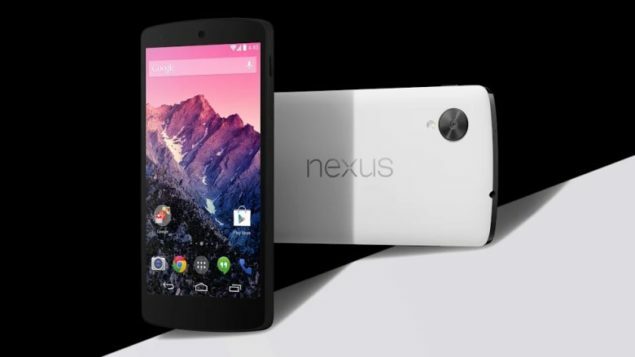 Nexus 5 has already received official Android 5.1.1 Lollipop. But if you are looking for some custom ROMs, VividROM is a good choice according to reviews so far. Enable USB debugging option by pressing Menu > Settings > Applications. Navigate and tap on Developer Options to make sure that USB Debugging is enabled. Make sure that ClockworkMod or any other recovery is installed. Required files: Download VividROM Android 5.1.1 custom firmware on your computer. Also, download GApps package from here. 1- Connect your LG Nexus 5 to your PC using USB cable and copy the downloaded files to the SD card of your device. 2- Disconnect your Nexus 5 and power it off. 3- Now boot it in to the recovery mode: press and hold Volume Up, Home and the Power buttons simultaneously. Use Volume keys to highlight and Power button to select once you are in the Recovery mode. 4- Perform data wipe operations: go to wipe data/factory reset and confirm the task. Also wipe cache partition and finally go for wipe dalvik cache (optional but recommended) to clean it up too. 5- Next, select install zip from sdcard and then choose zip from Sdcard. Locate the VividROM Android 5.1.1 Lollipop file and confirm its installation. 6- When the ROM installation completes successfully, repeat the above step for installing the GApps package. 7- Once done, go back to main recovery menu and select reboot system now. First boot takes quite a few minutes so sit back and don’t get worried. Enjoy the sweetness of latest lollipop.